We wrapped up the 50th anniversary year on Sept. 25 with the Everything Porsche banquet, which you can read about in this issue. 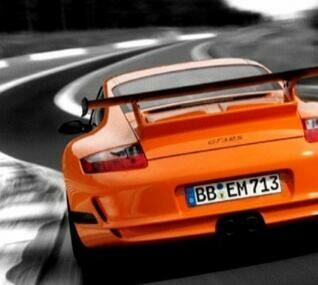 But there's still more "seat" time to be had in our Porsches and there's always time for get togethers. We have two events coming up yet this year and extend a welcome to all members to join us. Read the details just below about a short drive on Saturday morning, Oct. 16, to breakfast. Mind you, we will be in Porsches so we won't be taking the most direct route. We also have a casual dinner on a Friday evening Nov. 12. You have your choice of a Milwaukee fish fry or two other entrees. The event will coincide with the annual autocross awards presentation. This is an event for everyone -- autocrossers and non-autocrossers. It's really just a great excuse to go out on a Friday for dinner and be surrounded by others who love Porsches. Be sure to join us for both of these events. In the rest of this newsletter you will see reports of recent events including the 50th finale and the Sept. 18 half-day driving tour. We will also welcome new members, share some member profiles, salute those observing a membership anniversary and more. It's that time of the year when we solicit interested members who wish to serve as a board of director. If you are interested in serving on the board, the Election Committee would like to receive your self-nomination. Download the form here, complete it and return it by Oct. 23. Oct. 7 - Board meeting. Members are always welcome to sit in on the monthly board meeting. We meet at Brew City Grill, 10250 N Cedarburg Rd., Mequon, WI 53092. Brew City is on Hwy 57 between County Line Road and Donges Bay Road. Oct. 16 - Drive to breakfast. We need your RSVP by Oct. 13 to ensure the restaurant has reserved enough seats for our group. Details here. Nov. 12 -- Casual dinner. Fish fry or your choice of two other entrees. Great company. Short program featuring autocross awards. Cheer on the autocrossers in our region. Meet new people too. Use the downloadable RSVP form to reserve your spot. $20 per person. This is the last dinner of the year for our region. Details here. Mike and Tracy Bender have a 1973 911T Targa with M.F.I. The car has been tastefully modified with RS flares, RSR fiberglass front bumper and RS style rear Fiberglass bumper. It rides on 16-inch Fuchs from a 944 turbo that he refinished in a RSR finish. “I do all my own repairs,” Mike said. “This is my hobby and I love euro cars. I own four right now.” He previously owned a 1987 Porsche 924S. To find his ’73 911 he searched the Internet for the right car and found it on Craig's list. It was purchased as a project car. It sat in storage for nine years as the owner could not find a mechanic to work on the M.F.I. and get it running correctly, according to Mike. Mike’s a truck driver from a local D.P.W. He spends a lot of time at Road America so he is interested in track events as well as tech sessions, car shows and also driving tours. “This is the first club we have joined and we are looking forward to the activities the club offers,” he said. Marco Alarcon motors into the club in his 1977 911 with German spec. 4 speed, upholstery seats, factory-lowered. He also owns a 1974 914. He found the 1977 911 at Road America. He’s an entrepreneur, the owner of three restaurants and invites fellow members to check out his website, www.alarconrestaurants.com. He’s interested in track events, car shows and social events. Neal Schulz has owned his white 1987 944 for 10 years. He also owned a 1966 914 that he drove for 20 years. He also owns a 1961 Porsche with a GT40 Fiberglas body. He’s a physics teacher at Greenfield High School in the Milwaukee area and also teaches math and theology at Wisconsin Lutheran College. He and his wife Carol have been married for 22 years. Read a report that summarizes national membership as well as Milwaukee Region membership. Details here. Recent events -- recap of the fun members had recently. The Sept. 18 fall driving tour was enjoyed by 22 cars. Read the details here. The 50th anniversary finale on Sept. 25 was an evening to remember. Read the details here. Thanks to the 50th anniversary co-chairs Gary Messing and Ron Pace, as well as the 50th committee members. A special thanks to Renee and Gary Messing for making sure that each event on our 50th Everything Porsche schedule was well executed. Gary and Renee also helped out at the autocross events this year, lending a much-needed helping hand. Matthias Müller, the new Chief Executive Officer of Dr. Ing. h.c. F. Porsche AG, Stuttgart, unveiled the new Porsche 911 Speedster as well as the 911 Carrera GTS Coupé and Cabriolet models at the Paris Motor Show on Sept. 30. An event organised by the Volkswagen Group on the evening before this autumn's leading motor show opens its doors will also see the official handover of responsibilities on the Porsche AG Board of Management. After a successful tenure Michael Macht will symbolically hand the Porsche steering wheel to his successor Matthias Müller. Matthias Müller's assumption of office as Chief Executive Officer coincides with three world debuts. Only the fourth Speedster to have been built in Porsche’s history is a model steeped in purist tradition and reflects the forward-looking nature of the brand, while the new Carrera GTS range with wide body and rear-wheel drive underscores all this. ATLANTA, October 1, 2010—Porsche Cars North America, Inc. (PCNA), importer and distributor of Porsche sports cars, Cayenne SUVs and the Panamera Gran Turismo line-up in the United States, today announced September sales in the U.S. of 1,971 units compared to the same period last year when it sold 1,581, up 25 percent. Again leading the way were the results for the new-generation 2011 Cayenne. In September, Porsche sold 808 Cayennes compared to last year when sales were 535, an increase of 51 percent. This was the second-best month so far in 2010 for Porsche’s SUV, and comes on the heels of the V6-powered Cayenne being added to the lineup. Next month, Porsche will introduce the highly-anticipated 2011 Cayenne S Hybrid. Also noteworthy for September was the continuing strong performance of Porsche’s four-door Panamera Gran Turismo with sales of 624 for the month. So far in 2010, Porsche has sold 5,565 Panameras in the U.S. Overall, year-to-date, Porsche’s sales in 2010 are 17,690, versus the same period last year when they were 14,310, representing an increase of 24 percent. For the month, Porsche’s Approved Certified Pre-Owned vehicle sales were up significantly for the month at 620, compared to 519 in 2009. 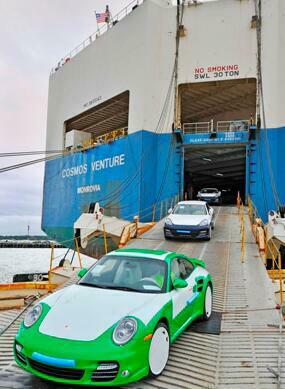 Porsche Cars North America has added Davisville in Rhode Island as another point of entry. Read the details here. It’s never too early to build your list of things that Santa could bring. Check out this book. Classifieds. Quite a few new ads have been added since the last issue. Check it out. 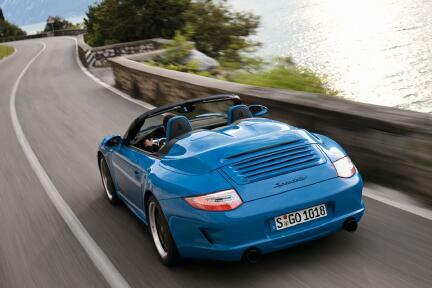 Be sure to use classifieds to sell your Porsche or related items. It's free for members. Details on how to submit a classified ad are on the classified's page. You can submit an ad at any time. Region contacts. Need to contact an officer or committee chair? Visit the Contact Us button on the left navigation panel of any page on our website. Steinlifters Online is published for members of the Milwaukee Region, Porsche Club of America.